I wrote the outline for this post about seven years ago. At the time, what I’m about to share with you felt more like my reality than the ugly lies I now know them to be. If you’ve ever struggled with anxiety and depression, then I don’t have to tell you that those battles rush in with an army of fear. Fear that feels very real, intensely dark, and painfully isolating all at once. 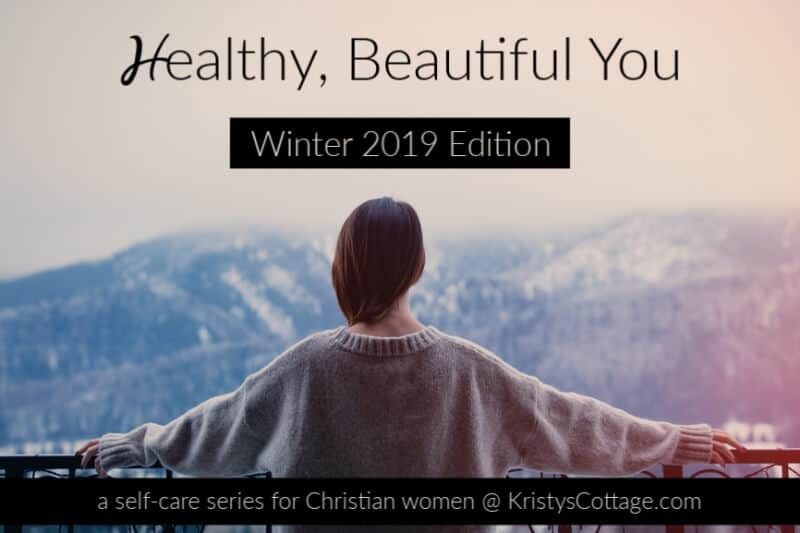 This month, we’re going to continue our winter-long series here at the blog: Beautiful, Healthy You. If you missed the other self-care posts, you can read them here. 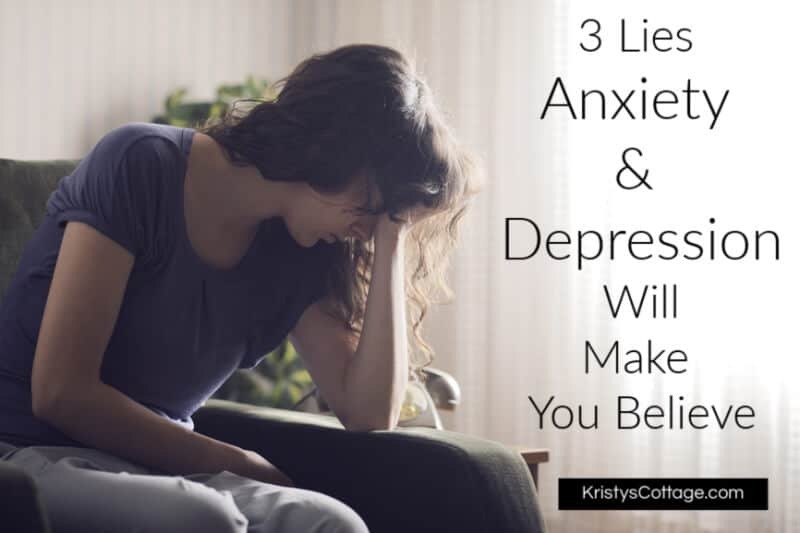 There’s absolutely nothing beautiful or healthy about anxiety, fear, and depression. Yet the toxic emotions these struggles breed often exist just beneath the surface in the lives of many Christian women and girls. That’s why I’m taking the time to write about self-care, and how Christian women can live in abundant freedom, health and truth. I have walked this journey, and in many ways I am still walking it. And as a pastor’s wife. In each of these roles, I see the painful imprints and scars left behind by anxiety, depression, fear and guilt. I’ve come to recognize it’s marks and, honestly, I hate everything about these tools of the enemy. Enemies of the truth, and of our very souls. Lie #1: I’m Not Enough. This is one of the most crippling tools of the enemy: the lie that convinces girls and women that we are not enough. The irony is that this lie is rooted in a semi-truth: in our fallen, sinful state, apart from Christ, we are indeed not enough. As it is written: “There is none righteous, no, not one; there is none that understandeth; there is none that seeketh after God. Satan is the master of twisting God’s Word to make us believe lies about our identity in Christ. I am a child of God, and He has lavished His love upon me (I John 3:1-3). My body is the temple of Christ, purchased at a great price by God (I Corinthians 6:19-20). I am created in the very image of God (Genesis 1:27). My body is not a slave to sin (Romans 6:6). There is no condemnation in Christ (Romans 8:1). I am God’s masterpiece (Ephesians 2:10). I am beautiful (Song of Solomon 4:7). I can live with strength and dignity (Proverb 31:25). These are just a few Scriptures that state who I am- and who you are– as daughters of God. We must choose to believe the Truth. Lie #2: This Will Never Change. This lie felt like a prison to me. I truly felt “stuck” in the hard places. Sometimes trials are long, relationships are hard, or circumstances are out of our control. In those kinds of hard places, fear and anxiety can creep in and take over with lies of hopelessness. Truth tells us that even when the struggle is long, it will not last forever. There is eternal hope available to us, even in the midst of our broken places. Lie #3: I Can’t Tell Anyone That I’m Struggling. I remember the engulfing shame that came with the feelings of depression. I felt like no one else struggled with the things that I did (because other women were better Christians, right?). Even worse, I believed that I was letting everyone down by not being “perfect” (a common struggle for pastor’s wives), so I didn’t tell anyone that I wasn’t okay. Because I didn’t reach out for help, no one really knew what I was dealing with. So very few knew how to reach out or love me through that difficult season. The last thing I wanted to admit to someone was that I felt vulnerable and overwhelmed by feelings of fear. But until I was willing to be honest- out loud- and seek help, I stayed stuck in isolation, paralyzing fear, and deep loneliness. No one can love the parts of me that I keep hidden in darkness. Just to clarify: I’m not suggesting that we wear our feelings on our shoulders, or tell everyone we meet about all of our problems. But there is healing that simply will not take place when we choose to remain in isolation. God created you and I for community. We need family, friends, and the Body of Christ. In these safe places of acceptance and grace, we can bring our broken parts into the light and find the healing balm of unconditional love. True healing and growth can only happen in a place of love and safety. I realize that, in a broken world, all families, friendships, and even churches are not always “safe” places. If you find yourself hurting in isolation– physical, emotional, or spiritual- ask God to show you the safe people and places in your life. Or to bring new safe people and places to you. And, most importantly, seek to grow into becoming that safe person for someone else. 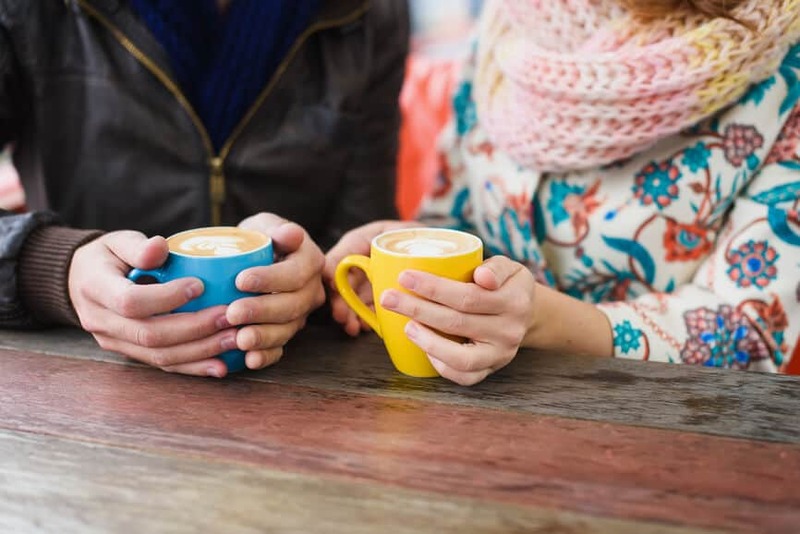 If you’re struggling with anxiety and depression, then the thought of becoming a “safe person for someone else” might feel impossible right now. In fact, your present struggles will probably be the fertile soil God uses to grow new fruit in your life. So don’t lose hope! God used the deeply broken places in my own life to create much healing, strength and growth. I don’t think I would have experienced wholeness apart from the hard places. That truth keeps me anchored in the present, when hard places resurface and I hear the old, familiar lies chanting in my head. I have to remind myself that I’ve already rejected those lies. That I am choosing to walk in truth, every day. That no matter how I feel, my identity in Christ does not change. These absolutes-along with my relationship with God and the community of believers He has placed in my life– help me live well in the middle of the hard places. This post is part of my Beautiful, Healthy You winter-long series. I update this blog with new content once-a-week, but share inspiration on social media throughout the week. You can also subscribe to receive new posts via email every Friday. If this post is helpful or encouraging to you, please hit a share button and spread the inspiration. Love this! Thanks for being so honest. Thank you, Lynley. Love you!